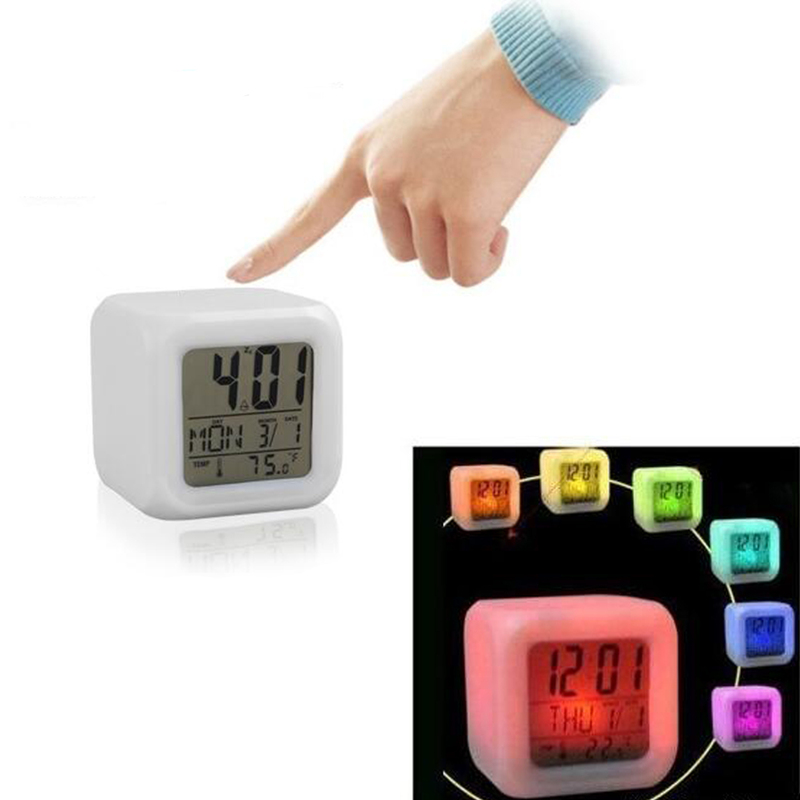 2.This Amazing glow in the Dark clock also Features a Temperature read out. 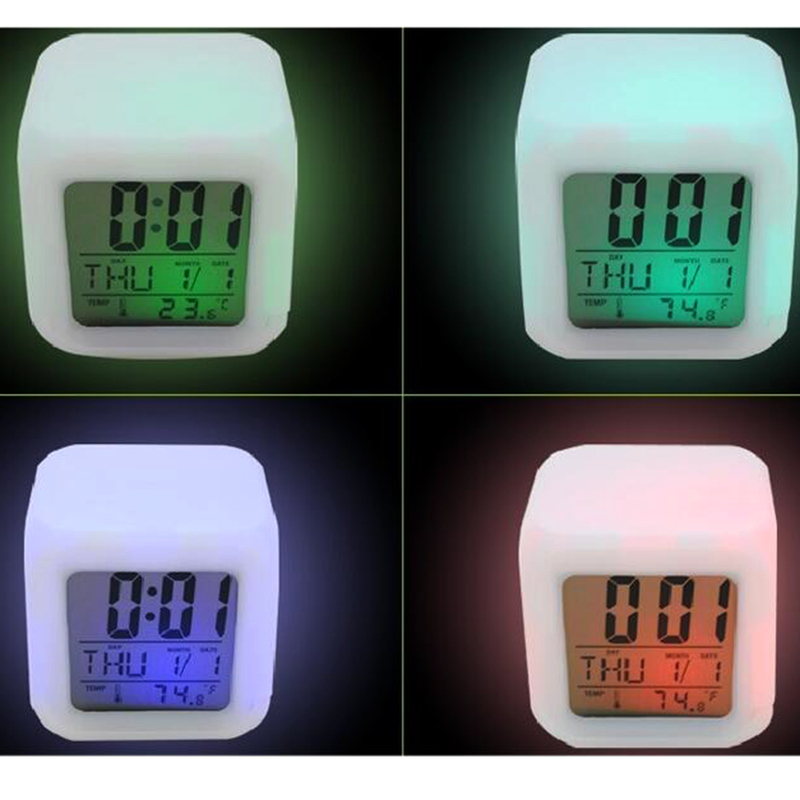 3.The Backlit Display features Time, Date & Temperature whilst the Translucent Case glows with 7 different colours. 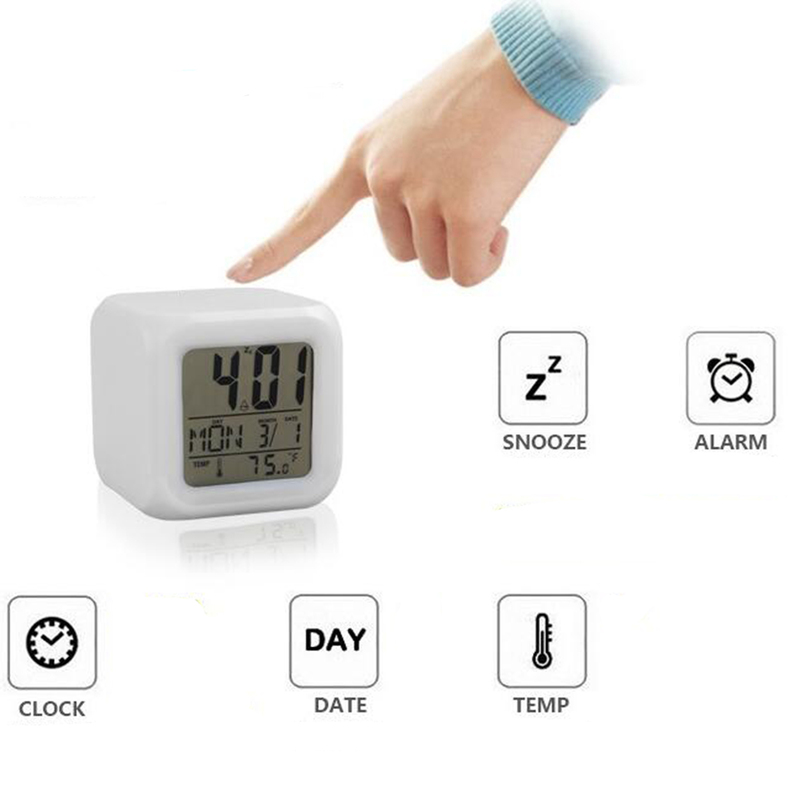 4.The Light Function can be set to Constant or as Backlight option when the Unit is pressed. 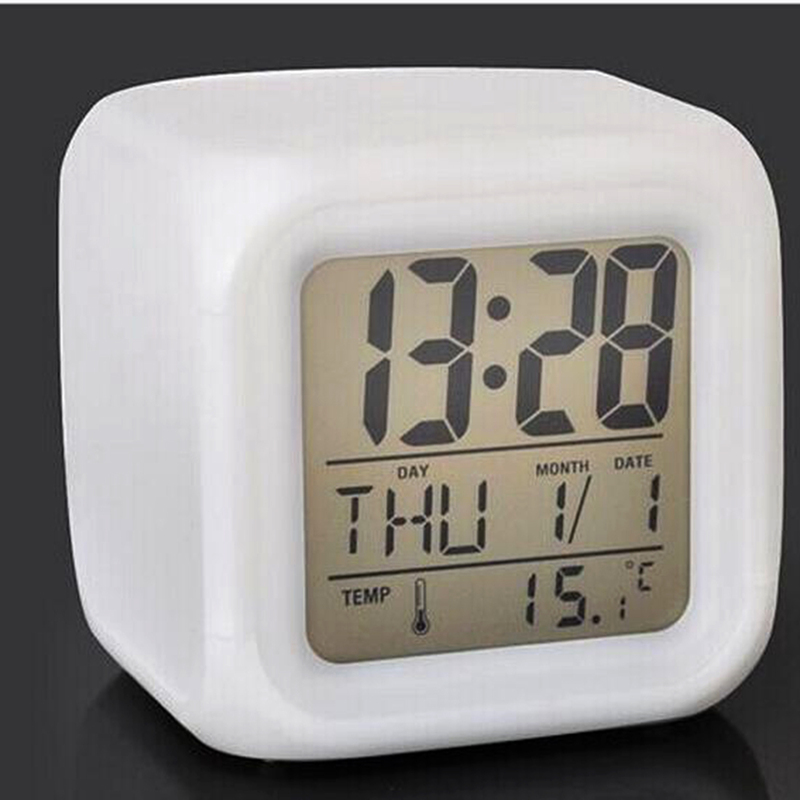 6.Function: Display time, date, temperature. 7.Displays Day, Month & Year. 13.Battery Operated (LED Requires 3*AAA Batteries)(not included). 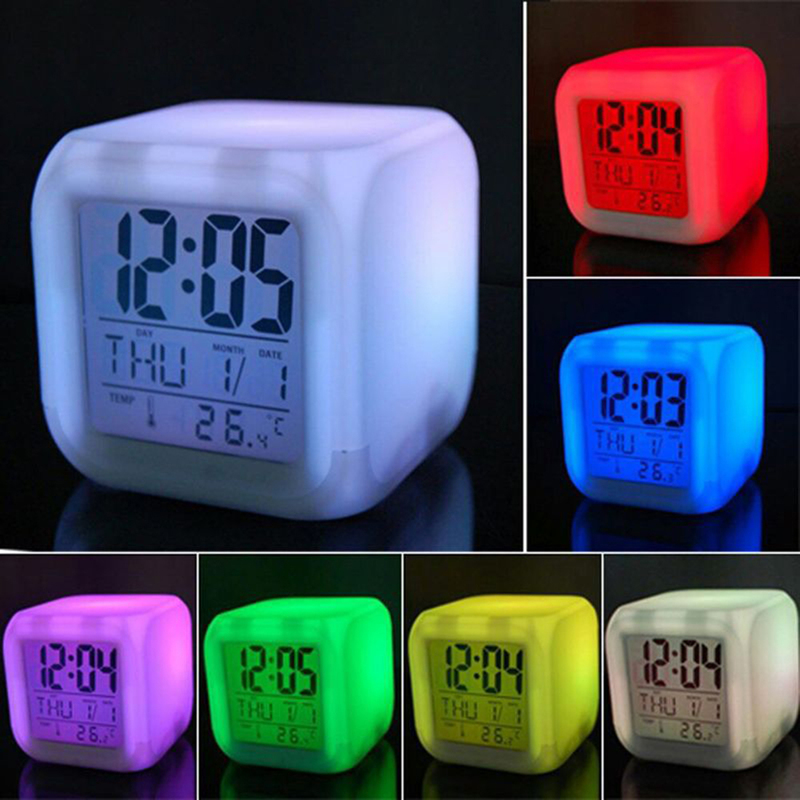 Package Including: 1 x 7 LED Color Digital Alarm Clock. 1.Don′t put the alarm clock at the wet, dirty and corrosive gas conditions. 2.Avoid to shaking or hitting the clock. 3.Pls use high quality batteries. 4.Pls remove batteries if you don’t use the clock long-term.